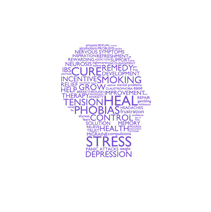 Hypnotherapy can be successfully used to treat a huge range of problems and conditions. From anxiety and depression to phobias, IBS and skin problems; for sports performance enhancement, smoking cessation and weight issues, we can help you get back on track. Please refer to our frequently asked questions. We aim to dispel many of the myths surrounding hypnosis, and answer any concerns regarding the process of Clinical Hypnotherapy and its effectiveness in treating many problems. The HypnoBand™ is the world leader in Gastric Band Hypnosis. We are one of only a few licensed practitioners in Scotland to be able to offer this highly successful technique to our clients. West Coast Hypnosis is heralded as Ayrshire's leading Hypnotherapy clinic covering the whole of the west coast, Glasgow and central Scotland. If you want to be confident of dealing with therapists who are trained in the latest techniques from the world of hypnosis and Neuro Linguistic Programming (NLP), and can help you tackle a wide range of issues in peaceful and confidential surroundings, look no further than West Coast Hypnosis. Located centrally in Ayr in newly refurbished offices, West Coast Hypnosis is conveniently placed and surrounded by major transport links. You can feel assured of receiving the best standards of care in a tranquil and relaxed setting just a stone's throw from the beach, and will be able to fully relax in the knowledge that in choosing us for your hypnotherapy needs, you can expect a treatment plan just as individual as you are. Whether your problem is anxiety or depression, whether you have a phobia or have recently experienced a decline in confidence, whether you are struggling with life changes or the loss of a partner or loved one, hypnotherapy can help you. Whether you have a driving test or exam looming or feel you need a spot of coaching before that important presentation or sports competition, we have a solution to suit your needs. If you have finally decided to kick that smoking habit for good, or want to deal with that long standing weight issue, West Coast Hypnosis can offer you a tailor made treatment plan to help you achieve you aims. Or if you simply don't know where to turn, and what you need is some time for yourself and to experience that wonderful feeling of calm and total relaxation that hypnotherapy can bring you, look no further. We have many years of experience in dealing with hundreds of clients from all sorts of backgrounds and with all sorts of problems, in a therapeutic setting. Whatever the issue, you will not be judged. Our aim is to help you to accomplish whatever you need, to move forward with a new found sense of positivity, freedom and purpose. You can be assured of our very best interests in you as a unique and valuable individual. Please take your time in browsing our pages and let us help you discover what West Coast Hypnosis can do to help you reach your goals, take control of your life and move forward feeling more positive, and more at ease in being able to tackle whatever comes your way, calmly and confidently. 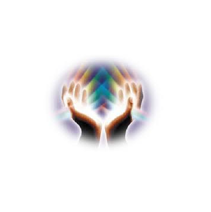 With West Coast Hypnosis, you are in safe hands.